Reprint. Originally published: New York: Houghton Mifflin Harcourt Publishing Company, 2018. 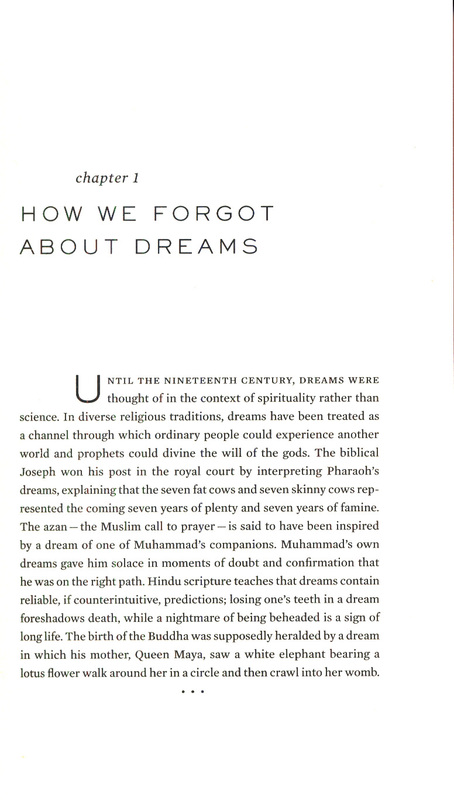 We all dream, and 98 per cent of us can recall our dreams the next morning. Even in today's modern age, it is human nature to wonder what they mean. 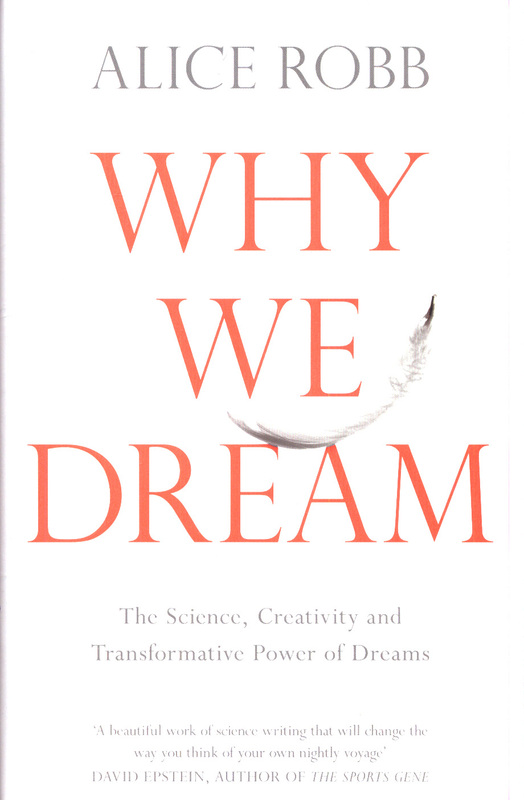 With incredible new discoveries and stunning science, Why We Dream will give you dramatic insight into yourself and your body. You'll never think of dreams in the same way again . 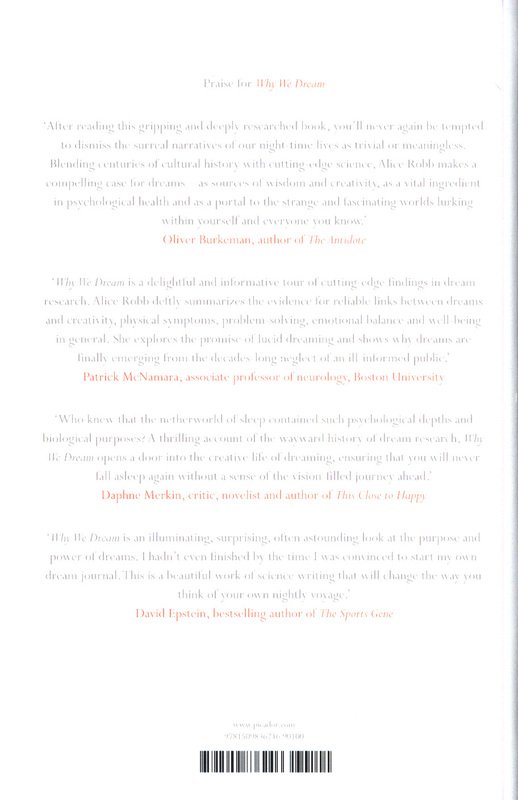 . . Groundbreaking science is putting dreams at the forefront of new research into sleep, memory, the concept of self and human socialization. 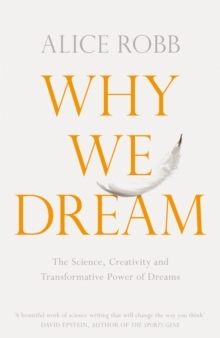 Once a subject of the New Age and spiritualism, the science of dreams is revealed to have a crucial role in the biology and neuroscience of our waking lives. 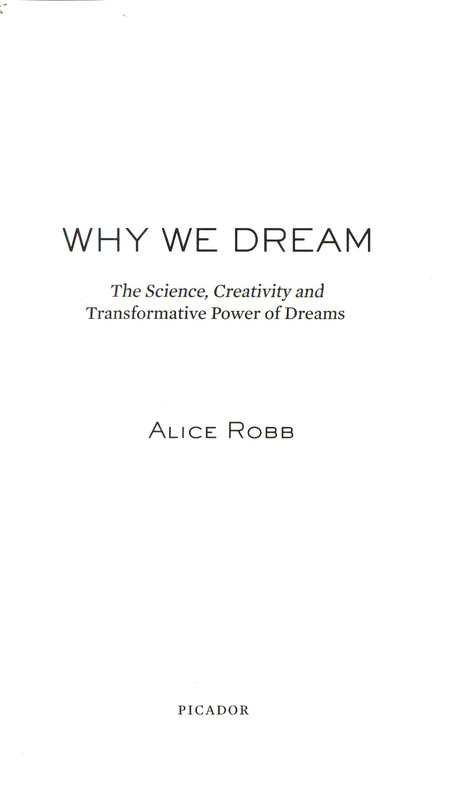 In Why We Dream, Alice Robb, a leading American science journalist, will take readers on a journey to uncover why we dream, why dreaming matters, and how we can improve our dream life - and why we should. Through her encounters with scientists at the cutting edge of dream research, she reveals how: - Dreams can be powerful tools to help us process the pain of a relationship break-up, the grief of losing a loved one and the trauma after a dramatic event - Nightmares may be our body's warning system for physical and mental illness (including cancer, depression and Alzheimer's) - Athletes can improve their performance by dreaming about competing - Drug addicts who dream about drug-taking can dramatically speed up their recovery from addiction. 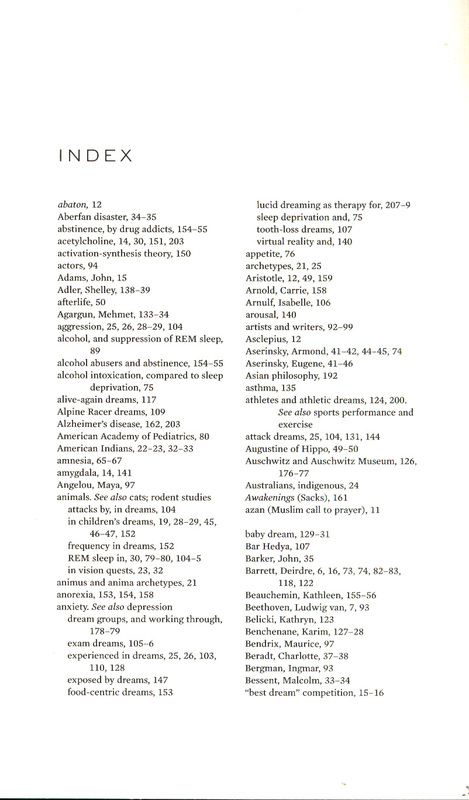 Robb also uncovers the fascinating science behind lucid dreaming - when we enter a dream state with control over our actions, creating a limitless playground for our fantasies. 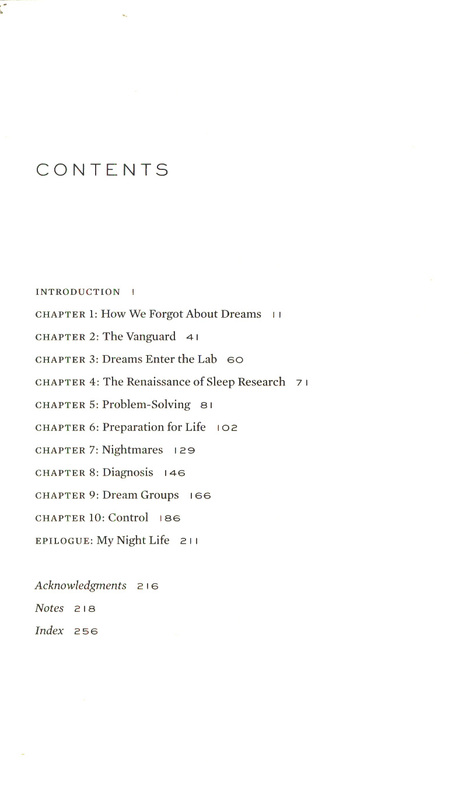 And as one of only ten per cent of people with the ability to lucid-dream, she is uniquely placed to teach us how to do it ourselves.